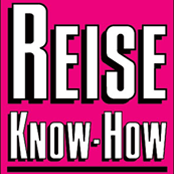 3 days tour in the desert. 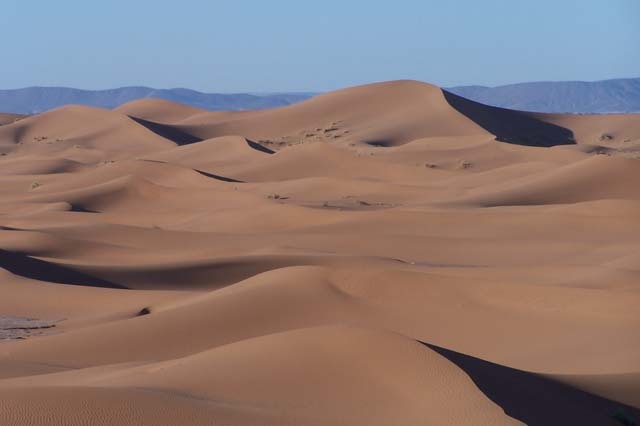 From Marrakech crossing the montains of the High Alas range and the oasis of the Draavalley you will reach the big dunes of Erg Chigaga. 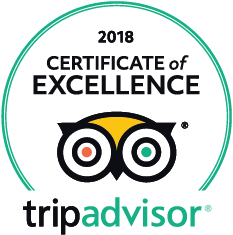 An individualized and comfortable tour with the off-road vehicle. 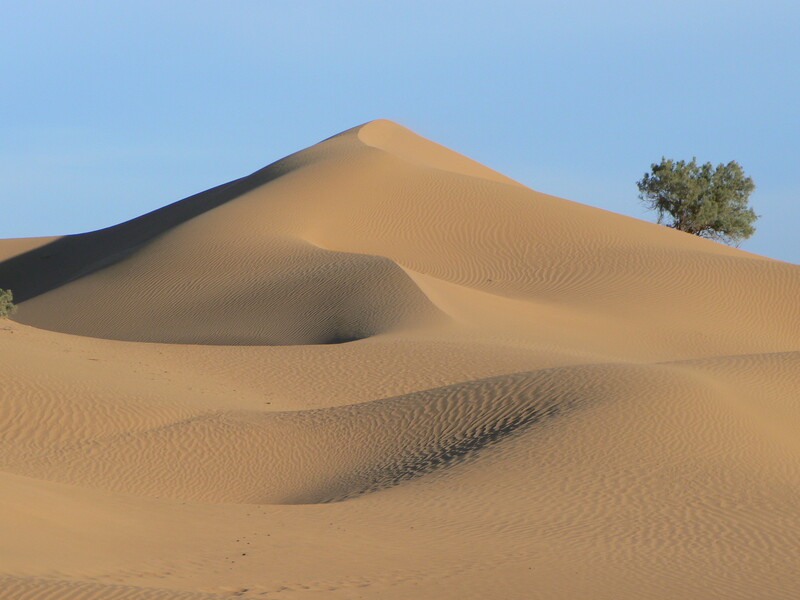 Experience the mountains of the High Atlas, the picturesque oases of the Draa Valley with millions of date palms and the fantastic desert landscape of the Erg Chigaga dunes. 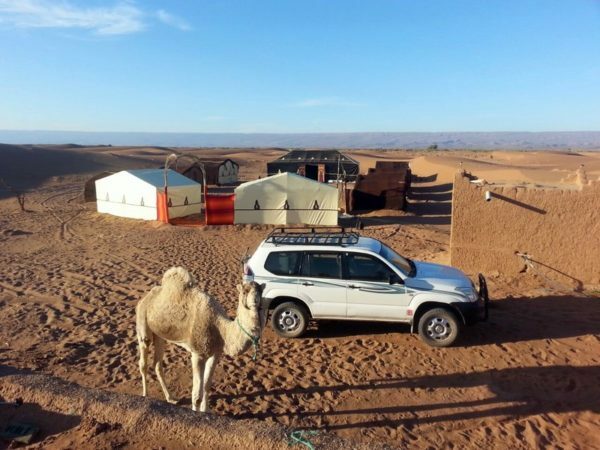 Enjoy the thrills of the desert with a trip with the dromedaries to contemplate the sunset in the dunes of Erg Chigaga and overnight in our comfortable tent camp under the stars of the immense desert sky. Type of tour: Private and guided tour in 4×4 Jeep off-road and a trip in dromedary in the desert. 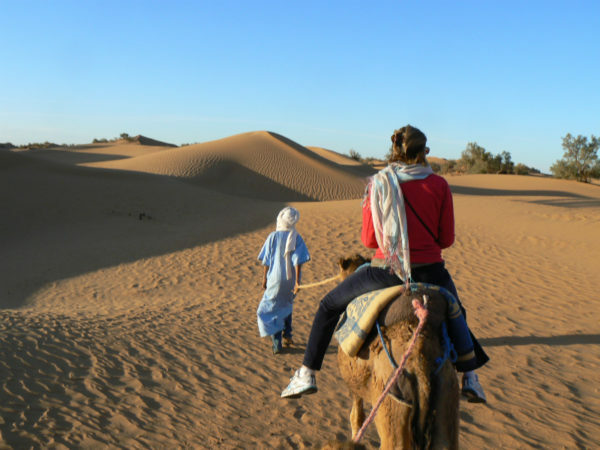 We set out in the morning from your hotel or riad in Marrakesh. 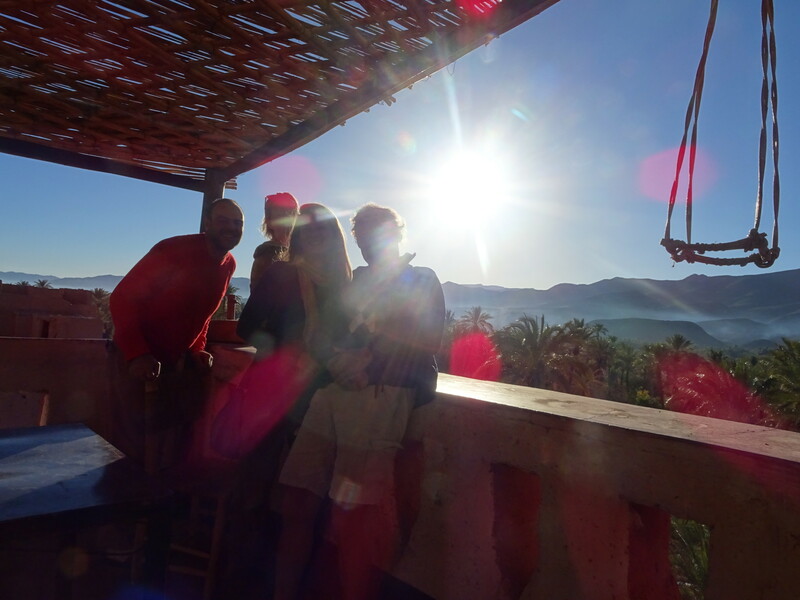 We’ll be crossing the mountains of the High Atlas range and the pass of Tizi-n-Tichka (2,260 m), where the views are breathtaking. The scenic road runs through oak woods and walnut groves, Berber villages with stone and mud brick houses, and pastures where goats and sheep graze. After crossing the pass, we come down into the lunar landscape of the Lesser Atlas and reach Ait Benhaddou, a mud brick kasbah protected by UNESCO and known as the finest and most famous in Morocco, which has featured in a number of films, such as Lawrence of Arabia, Jesus of Nazareth and The Gladiator. After the tour we stop for lunch.We continue on our journey to Ouarzazate and the Draa valley. From Agdz, we reach Tamnougalt, where we visit one of the oldest kasbahs in Morocco. Dinner and overnight accommodation in a typical riad in Tamnougalt. After breakfast on the terrace of the riad, we go for a walk in the oasis before leaving for the Draa Valley. 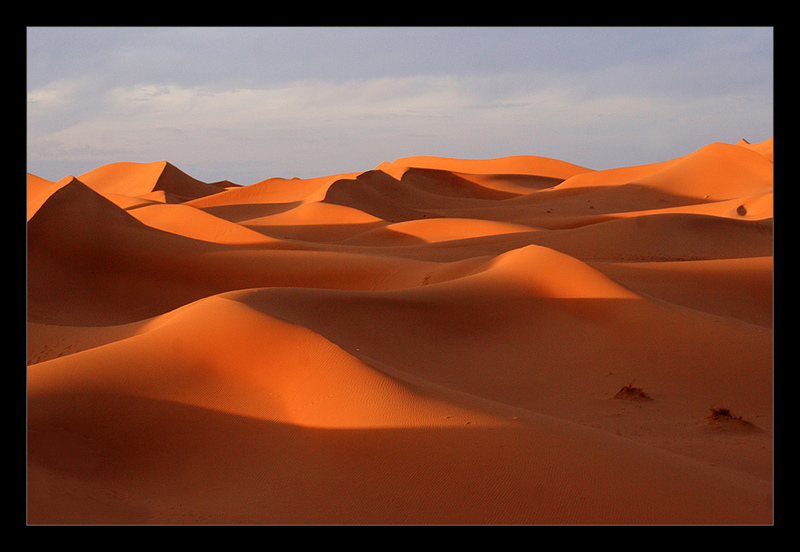 We pass through Zagora and Tamegroute, famous for its craft pottery production, and reach M’Hamid, the desert outpost. From M’Hamid, we continue our journey into the desert. An adventurous journey through the Sahara by jeep awaits us. 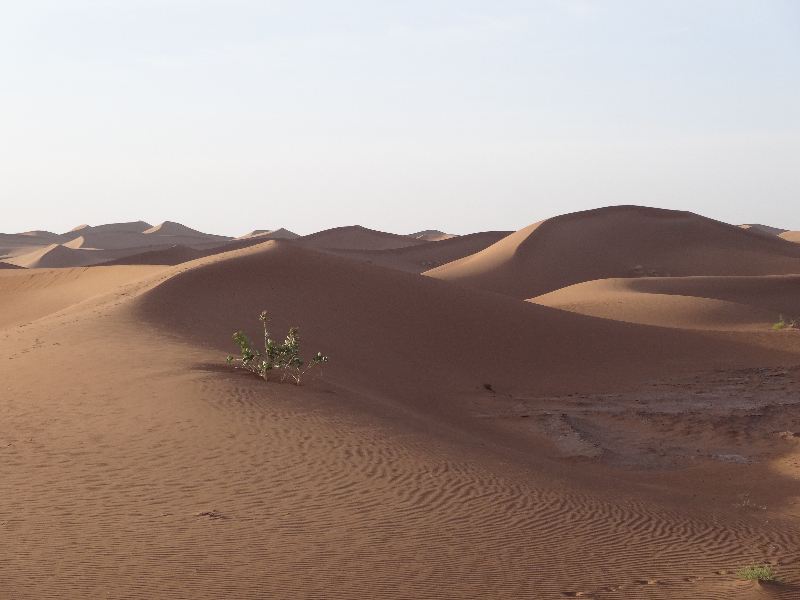 After covering 50 km of track, we reach the oasis of Iriki, where we have lunch before continuing towards the dunes of Erg Chigaga – an amazing series of golden desert dunes stretching for 40 km and reaching a maximum height of 300 metres. 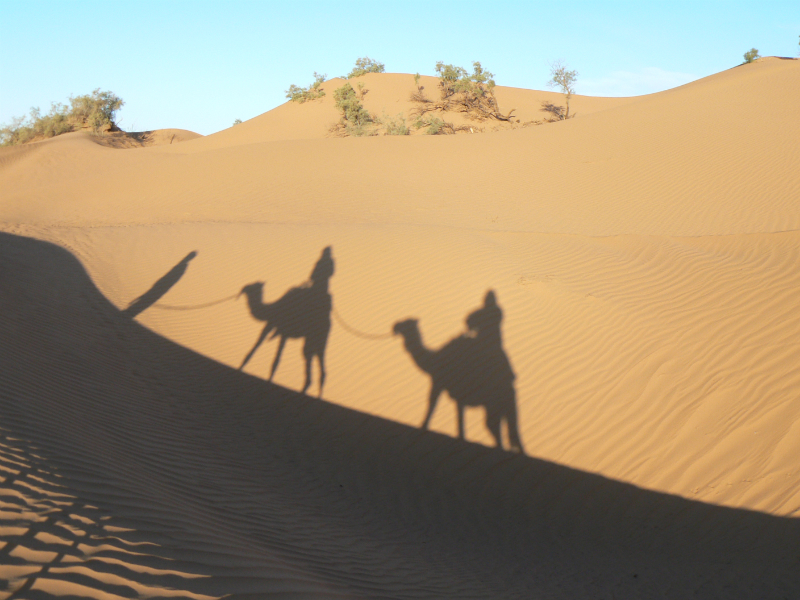 Here, you can admire the sunset amid the dunes from the saddle of a dromedary. 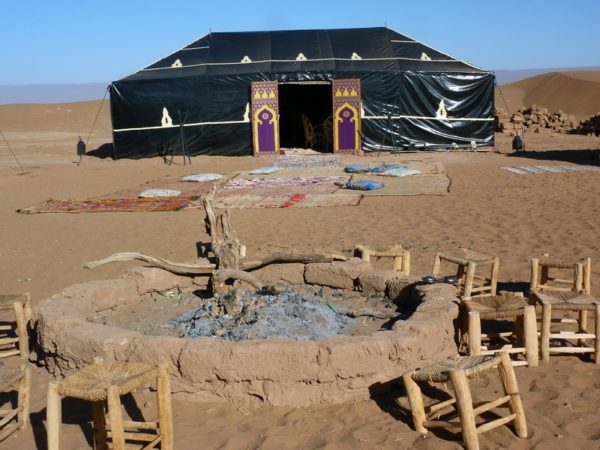 The typical nomad hospitality awaits us here in our tented camp, surrounded by the dunes of the Sahara, with the ritual welcome with mint tea, a traditional nomad dinner with music and a bonfire and overnight accommodation in a nomad tent.